Recently, I have had a number of things that have been making me frustrated while trying to learn a second language. I think it has to do with a couple of things. Firstly, I am impatient. I want to learn this language more than anything I have ever wanted before. The second issue is that I am still struggling to speak easily in conversation despite the amount of practice I have done and the large amount of vocabulary I know. Does this sound familiar to you? I have been studying the language I want to learn in a serious way for about 8 months now. There has been progress, I can do things I could not do 8 months ago. I can actually talk to a native speaker to communicate simple ideas, I understand quite a bit when reading and listening too. These are all signs of progress which is good. However, I have felt like my progression has slowed down instead of continued to accelerate. Obviously I have learned some new things but, likely not the right things that will help to improve my flow in conversation. So, I had to start reflecting on what is preventing me from learning this language quickly. Why is it taking me so long to learn? I have a few ideas, maybe you guys can leave your comments below and share some of your own discoveries to help other language learners get over challenges they are facing. The goal I am working on right now is to be able to have a 30 minute conversation in my new language without feeling anxious or feeling like I am constantly straining my ears to understanding what the other person is saying to me. My goal is not fluency right now, it is only to be at a stage where it doesn’t feel difficult to communicate. So I asked myself: What part of the conversation is the most difficult? My first realization was that I was frustrated in general with the language. For the first time since I have started learning, I actually considered taking a break from learning for a while. That is not going to happen, I don’t want to lose the progress I have made. I don’t know about you but when I am frustrated I do not learn very well, my focus is very poor and I am even less receptive to criticism or corrections. In fact, when I am in a frustrated state of mind, the corrections have received actually take away from my confidence while speaking! What is interesting is that I WANT corrections, I need to know how to speak like a native speaker and how they would say it naturally. So, why am I losing confidence and feeling like a failure when I make a mistake? I can tell you, it is not in my mindset, it is my natural emotional reaction. I think it comes from the school system and how it is ‘bad’ to be wrong. You may want to read my last article I wrote about problems with learning in a classroom or a group environment to understand what I am talking about in more detail. I noticed I needed to focus on improving the areas where I am struggling during my conversations. Lately, I have been avoiding my grammar and verb textbook because I am trying to stop thinking like a word-for-word translator or conjugating verbs like a grammar textbook; however, there were 2 past tenses that I have been unable to use in conversation because I am always doubting myself. I can’t remember the verb ‘rules’ and which verbs have the exceptions. So naturally, I have not been using it and I have forgotten the rules. To my surprise, I was able to review the 2 tenses and the rules in less than an hour (rather than the month it took me to learn the first time). I have no idea why I didn’t do this sooner. A concern that I really needed to address (to look at), was my reaction to corrections. Consciously, I know that corrections are what I want and need. My emotional reaction says something different. I decided to make this into a positive mental game. Every time I make a mistake (and the other person is nice enough to correct me), I give myself a point or make a note to myself that this is a positive thing. ‘Mistakes’ signify that I am speaking outside of the vocabulary and grammar that I am comfortable speaking. The more mistakes I make, the more corrections I receive, the more I can learn in one conversation. As I said before, I have a good vocabulary base in the language but I noticed I am using the same words over and over again instead of new vocabulary or verbs. Active vocabulary refers to the words that are easy for you remember and you feel comfortable and confident using them. Lately, my focus has been on building new vocabulary but I clearly need to strengthen some of the original vocabulary I studied and ‘learned’. When I am speaking, I know that these words are in my head but they are not part of my active vocabulary. I have too many words that are part of my passive vocabulary. Words that feel like they are stored in the basement of a library, that is super difficult to access, instead of being accessible at the front of my mind easily. I will leave some more information about the vocabulary app I use at the end of this article, it’s a really good one and it’s free! I have changed my approach to ‘learning’ the vocabulary in my word this time. When I see a word, I try to put it into at least 3 sentences. I have been surprised by how many words I could not do this with. Usually this happens with verbs that I am unsure of the conjugation or how it works grammatically in an actual sentence. I also I have to say the sentences out loud. Yes, I talk to myself all the time, luckily it is usually in my car but I do it while walking too. When I speak out loud, I can identify words that are difficult to say and I work on the pronunciation. This last idea for building active vocabulary is my favorite one. I have a few different language exchange partners and I have noticed we all want the same thing… We want a customized recording from a native speaker. So, I send them a list of words I am trying to learn and they make a story out of the words. It is so easy for the native speaker to record 5 minutes of audio in their own language. The benefit for me is priceless. I can review hundreds of vocabulary words in less than 30 minutes of audio. Beyond that, you get to hear the accent of the person you are practicing with. Not only will you be able to understand them better when you speak but you can try to mimic the accent and how they say the words or sentences. I appreciate these recordings so much. I even try to create a dictation so I can study the grammar of the story, test my listening comprehension, identify new words in the audio and learn what they mean. 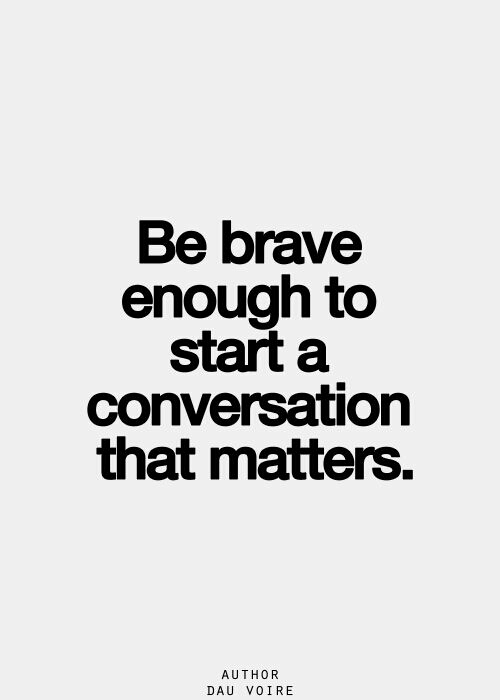 Please tell me what ideas you have or ideas that have helped you with your conversations. Don’t forget to follow this blog so you know when I release a new post. I’ll try to give you guys an update to share if my new techniques are helping my progress with conversation. As I promised, the application or website I use for reviewing words is a flashcard app called Brainscape. It’s a free app and you can build your own flashcard decks or purchase one of their existing flashcard decks for the language you are learning. This website or phone app uses a system called spaced repetition, which shows you words you are not confident with more often than the words you know well.